Weekly Sundays 5pm-7pm (BST) on Likwid London (http://www.likwid.london). Soul-Identity Music. 2 hours of upfront and classic soulful underground music. 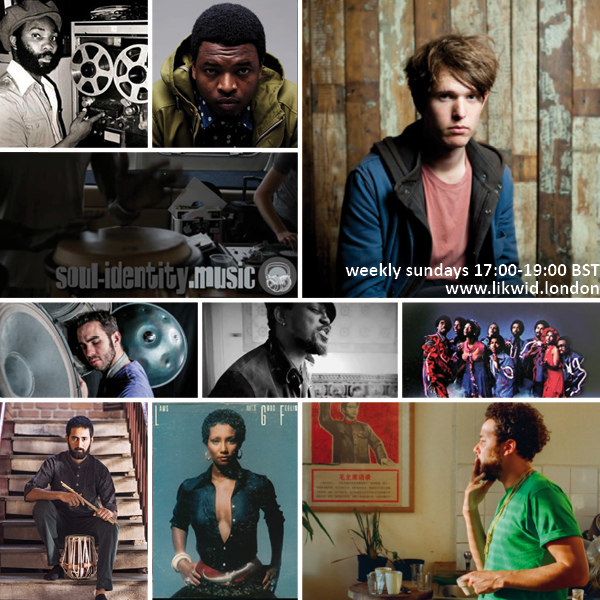 Show #20 arrives this week and there’s a fresh batch of tunes to enjoy from the likes of Electric Wire Hustle, Manu Delago, Ade Alafia Adio, Raisa Biza and Josef Leimberg, as well as an exclusive drop of a new Emanative remix of Sarathy Korwar in the first hour. In the second hour this week, we dig deep for a vinyl only excursion into the sound of the late 70s / early 80s disco / boogie scene. Plenty of choice cuts from the glory days of the dancefloor! Thanks for listening. Originally aired Sunday 16th October 2016.